WhatsApp application for Nokia 8110: There is good news for all Nokia users because Nokia 8110 has come up with WhatsAppfacility. The entry-level 4G-enabled phone was launched at a price of Rs 5,999/- in two colour options including black and yellow colours respectively. It has a curved design with slide-out keyboard cover. Nokia 8110, basically known as a banana phone, introduced in February 2018, later arrived in India in October 2018, which came with 4G LTE connectivity, is now updated with WhatsApp application. 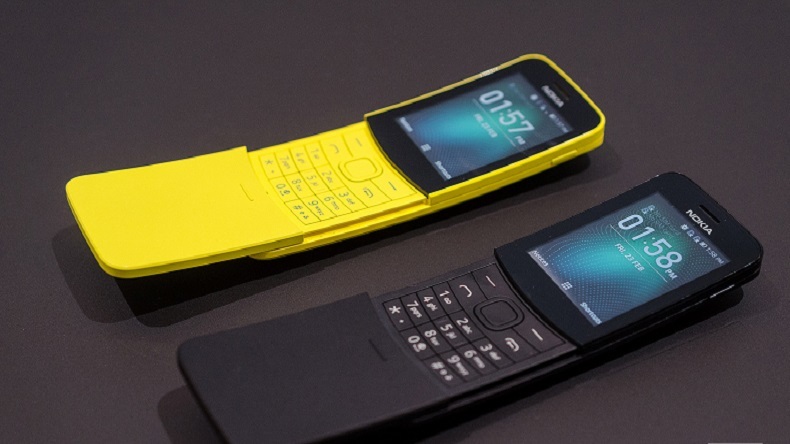 The Parent Organisation, HMD Global said in a press statement that Nokia 8110 users can visit the Nokia App Store in order to download WhatsApp. WhatsApp for Nokia 8110 was confirmed by HMD Global’s Chief Product Officer Juho Sarvikas in a tweet in July last year. The entry-level 4G-enabled phone was launched at a price of Rs 5,999/- in two colour options including black and yellow colours respectively. The smartphone features a curved design with slide-out keyboard cover. In the generation of foldable and touchscreen smartphones, Nokia is giving a tough competition to other smartphone producing giants like Samsung, Huawei, Motorola, etc. The reasonable price of the phone makes it more desirable. Nokia 8110 has a 2.45-inch QVGA colour display and it uses the KaiOS operating system. The phone runs on the dual-core Qualcomm Snapdragon 205 processor, which can be clocked up to 1.1Ghz. It has 512 MB RAM and 4 GB internal storage, which is expandable up to 128GB through a microSD card slot. The Nokia 8110 is powered by a battery of 1,500 mAh battery and sports a 2MP rear camera with single LED flash. The phone is handy and portable. The modern version of Nokia 8110 has a colour screen and significantly slimmer profile. It also retains the retro feel of the original handset, with its curved back and manual-sliding keyboard. Additionally, it comes with a Wi-Fi hotspot which is a plus point, along with the support for an App store to download apps, such as Google Maps, Google Assistant, Facebook and, Twitter among others and the all-time favourite Snake game. The handsets could be updated OTA (Over The Air) with an intelligent menu structure, which allows simple information input, which was sent through a simple structured text message to an MT receiver. This station could interpret information and a structured text message back to the handset.